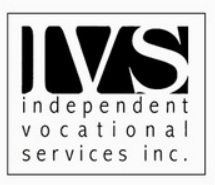 At IVS, the difference is independence. Our status as an independent provider of voc-rehab services means that it's our job to make sure injured workers get all the services they need. IVS is not contracted with any employer, MCO or third-party administrator, so we always have the worker's best interests in mind every step of the way. We team up with the attorney and physician-of-record, working "in the trenches" of the vocational-rehabilitation system to achieve the best outcome for the worker. While the voc-rehab system offers a tremendous opportunity for injured employees to work through troubling times, participating in a voc-rehab program with other providers may place MCO or employer motivations before employee benefits. IVS does not have this conflict of interest. We are motivated by getting better results for the injured worker, period. Formed in 2002 to provide injured workers with someone they can trust in the workers' comp voc-rehab system, IVS works tirelessly to utilize the BWC's guidelines and benefits to the worker's greatest advantage. Because of that, we've earned a reputation as the one organization truly advocating for the injured worker. To the worker, we say: Our goal is to achieve your goals--to help give you the tools and the means to get back to work.